In our previous two blogs in this series, we discussed what Frugal Innovation is, and the five principles that guide Frugal Innovators. While still relatively unknown in an enterprise context, the Frugal approach to Technology Innovation in the Enterprise may just be the golden ticket for CIO’s and business leaders to help escalate the pace on effective innovation. CIO’s and business leaders already recognize that innovation is no longer a luxury but a necessity for an enterprise today. Recent corporate history shows that innovation could well be the difference between exponential success or rapid decline in the enterprise. Consider the well-known examples of Kodak and Blockbuster, giants in their time but who no longer exist today out of poor reactions to the changing business environment and consumer behavior. Kodak underestimated the potential of digital photography which later disrupted the entire industry and replaced their film-based photography. Similarly, when Blockbuster CEO John Antioco and his team laughed at the proposal of partnership with Netflix in the year 2000, little did they know what waited for them in the coming years. In an enterprise context, innovation is normally a result of a burning need, an emerging trend or a popular new technology platform, or a convergence of these. 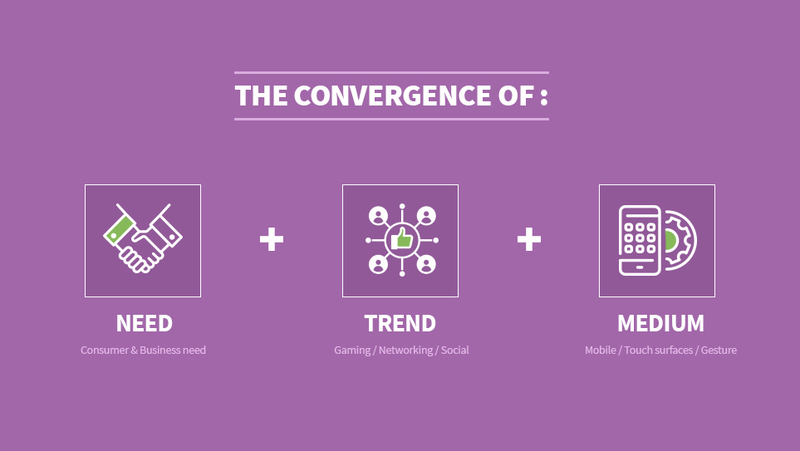 For example, look at how the enterprise landscape has changed because of the coupling of a need with a new technology trend, such as gaming, social media and the emergence of super-powerful smartphones and tablets. When mobile took over the user experience factor, businesses had to adapt and deliver mobile-friendly applications to attract and retain their customers. While clearly recognizing the need to innovate quickly, enterprise CIO’s face practical challenges in using a one-size-fits-all, big bang approach to all technology innovation. Our discussions with over a 100 CIO’s have thrown up the following top issues. Innovation in an enterprise is often not a problem of finding ideas. In many scenarios, the CIO or innovation group is bombarded with a plethora of ideas coming from various internal sources. The problem therefore really lies in finding the necessary bandwidth to nurture these ideas, to run alongside larger transformation initiatives and business-as-usual. The CIO’s we spoke to tell us that they would welcome advice and extended bandwidth to qualify ideas based on factors such as effort, capital, output, and success. Often though, this comes at a high financial cost and may also be time-consuming, resulting in ideas either being dropped or a loss of the window of opportunity. Identifying ideas which require minimum effort and provide maximum output is easier said than done using conventional approaches to innovation. While there may be a long list of potential innovation ideas, sometimes innovators face the issue of good quality ideas. When the success rates of these available ideas are compared with certain metrics such as the effort, capital and output required, many of them fall off the scale, resulting in a lot fewer ideas. Big bang transformational approaches to innovation are normally very expensive and time intensive, thereby consuming whatever little budgets were available in the first place. Once again, this may cause other potentially brilliant ideas to fall by the wayside for lack of available budget and resources. Surprising as it may sound in today’s digital era, CIO’s are still often stifled by the lack of appetite within the enterprise to invest in new ideas. They must work very hard to push an agenda of innovation to run alongside business as usual initiatives. As a result, most ideas fail to get off the ground using the traditional big bang approach to innovation. Ignitho’s Frugal Technology Innovation methodology (Doing More with Less), built in conjunction with Jaideep Prabhu, one of the world’s leading authorities and best-selling author on the subject, helps tangibly demonstrate ideas to the business stakeholders using limited resources through Rapid Prototyping, which can be ramped up to Scalable Solutions based on early success. Ignitho’s Innovation Labs, its unique peer ecosystem, and proven high-quality business and technical resources, are already translating business ideas into successful reality for enterprises. Talk to us today to find out more and get started on your own Frugal Technology Innovation journey in your Enterprise.